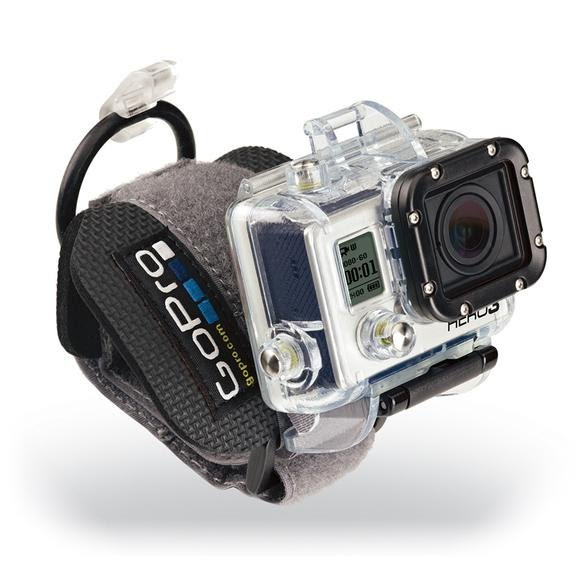 Keep your GoPro HERO3 HD camera secureed to your wrist while still being able to quickly pivot it upright to catch footage. Hands remain free when not recording. Sweet! Waterproof to 60 m / 197′. INCLUDED: 1 Wrist Housing 1 Neoprene/Velcro Wrist Strap 1 Waterproof Backdoor 1 Skeleton Backdoor 1 BacPac Backdoor GoPro HERO3 not included. Keep your GoPro HERO3 HD camera secureed to your wrist while still being able to quickly pivot it upright to catch footage. Hands remain free when not recording. Sweet! Waterproof to 60 m / 197′.